A roundup of plate tectonics from other threads, as well as a place to post new information. Question: How Many Plates Are There? This question came up in email. It's not one that geologists ask—we're content to say "about a dozen major ones." But, my correspondent says, "The folks who write the standardized tests for our school district seem to think that the number of plates is an important fact." So you must have one right answer. Answer: I would object strenuously to this question because there are many right answers. A compilation by Peter Bird in 2003 listed 52 plates. The authoritative MORVEL model added six more in 2010. And they don't include a large number of smaller "microplates" and "blocks" named by regional researchers. But let's step back from that cliff and see how many plates really matter. The Earth's surface is about 500 million square kilometers, which is handy for the arithmetic. The seven largest plates (Pacific, North American, Eurasian, African, Antarctic, Australian and South American) add up to about 460 million, which is close enough to the whole thing. The seventh-largest plate, South America, is about 44 million, and the next largest is the Somali plate at 17 million, so seven seems like a natural cutoff. But then we get into the quibbles of schoolkids and teachers. "What about India?" they want to know. "I never heard of this Somali thing," they whine. Okay, to get to India (tenth-largest at 12 million) we have to include the Somali and Nazca plates. Because India, whatever its status as a plate, is important for reasons that are cultural and pedagogical—it's right in the middle of the map, and you can't teach about continental collisions or the Tibetan plateau without mentioning it. And those top-ten plates add up to more than 90 percent of the Earth, so that should end the discussion. But now that we've given in so far, we can't stop. In for a penny, in for a pound, as they used to say. Three more important places—the Philippines, Arabia and the Caribbean—come next, riding on their own little plates of 5.5, 5 and 3.3 million square kilometers respectively. But we can't stop at thirteen because only slightly smaller, at 2.9 million, is the Cocos plate, so that makes fourteen. The next-smallest (the Caroline microplate) is quite a bit smaller at 1.7 million, so I'm cutting things off at 14. Unfortunately, the whiners have another complaint: "Those aren't all on the map." The canonical plate map that I and everyone else uses doesn't match the list of the plates and doesn't match the plates I've just recited. The largest map I have doesn't point them all out. If anyone is reading this from the U.S. Geological Survey, would you please produce a new map? Another thing is that all the maps insist that the tiny Juan de Fuca "plate," actually just a microplate, belongs on the map with its name carefully pointed out, even though it ranks twenty-second in size. That's for pedagogical reasons, too, stemming from the history of science. The Juan de Fuca plate is where seafloor spreading was first convincingly mapped in the late 1950s, and that old map of seafloor "magnetic stripes" is still pulling its weight in the classroom. So please, teachers, don't make your students learn a number for the number of plates. There isn't just one. And geologists, if you haven't read Don Anderson's treatment of this question, see "How Many Plates?" which was published in the May 2002 Geology. Note: Transform and strike-slip are the same thing. 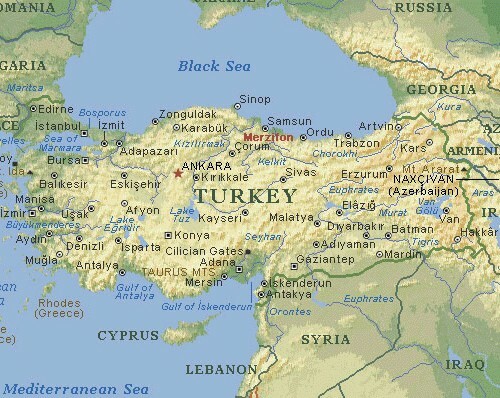 Turkey is past due, and their big quakes tend to travel east to west, leaving Istanbul in the danger zone. Tectonic microplates of the Melanesian region. Arrows show net plate motion relative to the Australian Plate. 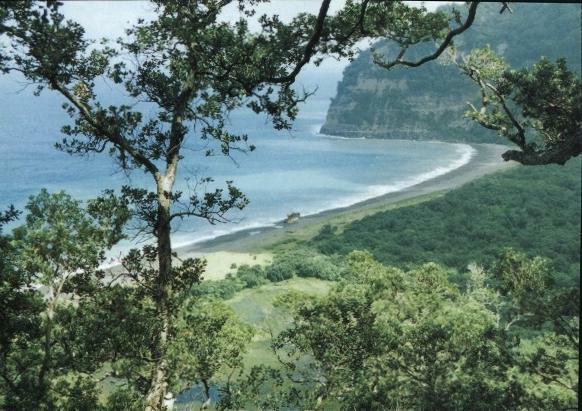 The volcanoes of New Britain are the result of subduction of the northward-migrating Solomon Sea Plate under the South Bismarck Plate. The volcanoes in the Solomon Islands are associated with the Solomon Sea Plate as it is subducted beneath the Pacific Plate. 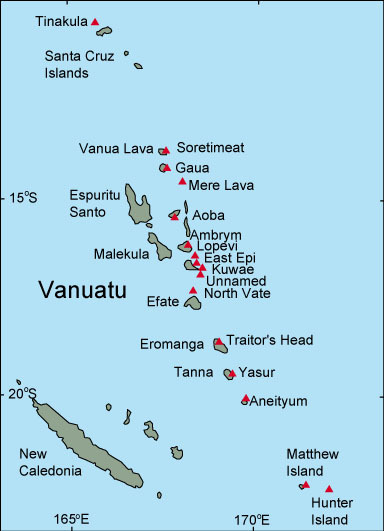 Two short spreading centers, one at the southeast margin of the Solomon Sea Plate and the other at the north edge of the South Bismarck Plate, influence volcanism at Kavachi (Solomon Islands) and the Admiralty Islands, respectively. Simplified from Hamilton (1979). The Solomon Islands, in the south-western Pacific Ocean, were struck by a powerful earthquake in the early hours of the 23 April 2011. The earthquake, which was reported by the United States Geological Survey as having a magnitude of 6.9, occurred offshore, around 50 miles from the town of Kirakira (USGS “Magnitude 6.9 Solomon islands”, earthquake.usgs.gov). At 6.9 magnitude, the earthquake was a significant one. It occurred at a depth of 8.9 miles underneath the ocean. Despite the magnitude of the earthquake (it was larger than that which struck Christchurch, in New Zealand, causing significant damage earlier in 2011) initial reports suggest that little damage was caused and at the time of writing no reports of injury or damage had been received (The Guardian online “Powerful earthquake strikes off Solomon Islands”, guardian.co.uk). Although submarine earthquakes of this magnitude may trigger tsunamis (depending on the nature of the earthquake) the National Oceanographic and Atmospheric Administration’s tsunami bulletin, issued in the aftermath of the earthquake, indicated that ‘a widespread destructive tsunami threat does not exist based on historical earthquake and tsunami data’ (NOAA tsunami bulletin, ptwc.weather.gov). No local tsunami bulletin was issued. The Solomon Islands are part of a chain of islands which lie in the southwest of the Pacific Ocean, around 1300 miles northeast of the Australian city of Brisbane. The islands are the product of a complex series of tectonic-related events, their origin related to the submarine flood basalts of the Ontong-Java Plateau and to their location on the Pacific Ring of Fire (Petterson et al “Geological–tectonic framework of Solomon Islands, SW Pacific: crustal accretion and growth within an intra-oceanic setting” sciencedirect.com). It is the islands’ position on the margin of the Pacific Plate which provided the impetus for the earthquake of April 2011. At its simplest, the process can be explained as follows: that the north-eastward-moving Pacific Plate strikes the Australian Plate at an oblique angle and over-rides it. As the Australian Plate is forced downwards, friction is generated, building up to a point at which it is released in the form of an earthquake. In fact, the differential movements of the plates have generated a much more complex picture, with several smaller plates (microplates) forming as the two major plates meet. These include the Solomon Sea Plate, and it is along the boundary between this microplate and the Pacific Plate that the earthquake of 23 April occurred (Oregon State University “Tectonic Setting and Volcanoes of Papua New Guinea, New Britain, and the Solomon Islands” volcano.oregonstate.edu). The Tonga Plate is a small southwest Pacific tectonic plate or microplate. 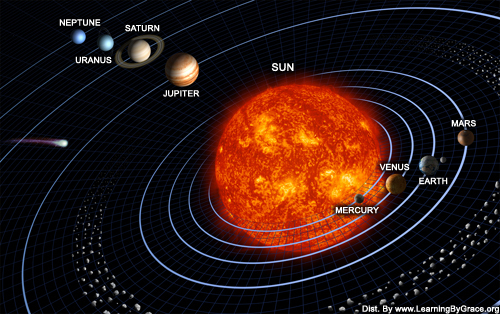 It is centered at approximately 19° S. latitude and 173° E. longitude. The plate is an elongated plate oriented NNE - SSW and is a northward continuation of the Kermadec linear zone north of New Zealand. The plate is bounded on the east and north by the Pacific Plate, on the northwest by the Niuafo’ou microplate, on the west by the Australian plate and to the south by the Kermadec plate. The Tonga plate is subducting the Pacific plate along the Tonga Trench. This subduction turns into a transform fault boundary north of Tonga. An active rift or spreading center separates the Tonga from the Australian plate and the Niuafo’ou microplate to the west. The Tonga plate is seismically very active and is rotating clockwise. For anyone in the Mists regarding the US: which do you think might release first, the Carribean plate, the New Madrid, or California, or the Pacific NW? Something is warning me about the Carribean, first. I keep thinking about Mississippi for some reason. I don't like making predictions, but, do the Gulf coast residents have a tsunami warning system in place? We are all moving now, all of the plates are "loose" in a sense. I keep visualizing a soft landing, and a re-alignment of the poles in a good, kind, and gentle way. I really don't think we need any more lessons in the US, as life "on the ground" is more difficult than what is being shown on the news. The economic changes are truly making people understand how we must help each other, and that was the theme of our nation from the very beginning. Kindness to strangers is a way of life here. We will all be okay, but shew, I'm thinking it's not necessary to "quake up" any more folks. To the earth: You Have Our Attention! You know that we know that your power is immense, fabulous, and we love you. Okay, so you have shown us enough. We get it! Peace! lindabaker wrote: I keep thinking about Mississippi for some reason. I don't like making predictions, but, do the Gulf coast residents have a tsunami warning system in place? The tsunami warning announcement to be broadcast at 8 a.m. on April 2 is no April Fools Day joke. It's a first-ever test of a new Atlantic and Gulf of Mexico tsunami warning system designed to cue coastal communities of the potential danger of huge waves caused by earthquakes. Co-sponsored by the National Oceanic and Atmospheric Administration and the U.S. National Tsunami Hazard Mitigation Program, the test also will include Canadian Atlantic Provinces and U.S. Caribbean Territories and Commonwealths. Participating emergency management agencies along the East and Gulf coasts will conduct workshops and tabletop exercises centered on a tsunami warning, while several Puerto Rico communities will conduct evacuation drills. Participants will evaluate the effectiveness of their preparedness plans following the exercises. The United States warning system was updated in 2005 after an Indian Ocean tsunami struck coastlines in the Indian Ocean with little or no warning, killing about 230,000 people in a number of countries. "The 2004 Indian Ocean tsunami raised awareness about the urgent need to be prepared," said Jack Hayes, director of NOAA's National Weather Service, in a news release announcing the drill. The chances of a tsunami hitting the Louisiana Gulf Coast are slim, based on recent research into Caribbean Ocean earthquake zones. 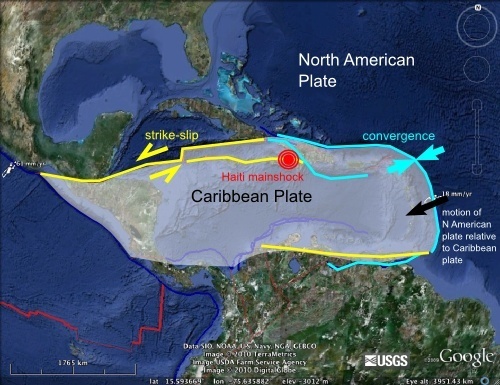 Few of the known geologic faults in the Caribbean that might cause a tsunami are aligned in ways that would send waves into the Gulf of Mexico. However, there are several known faults in the Gulf itself that have a remote chance of causing the huge waves. The Scotia Plate is an oceanic tectonic plate bordering the South American Plate on the north, the South Sandwich Plate to the east, and the Antarctic Plate on the south and west. The north and south boundaries of the plate are transform fault boundaries. At the eastern margin the Scotia has a spreading boundary between it and the small South Sandwich Plate. The South American Plate is subducting under east side of the South Sandwich Plate, which is thought to have brought about its separation from the Scotia Plate, starting as backarc spreading. The western boundary with the Antarctic plate is a complex and rather ill-defined boundary. The plate is named after the Scotia sea, under which it lies. All the islands in the Bahamas were thought to be slowly sinking, but now scientists find one quirky isle going against the crowd. This anomaly suggests the area may be less seismically stable than previously thought. 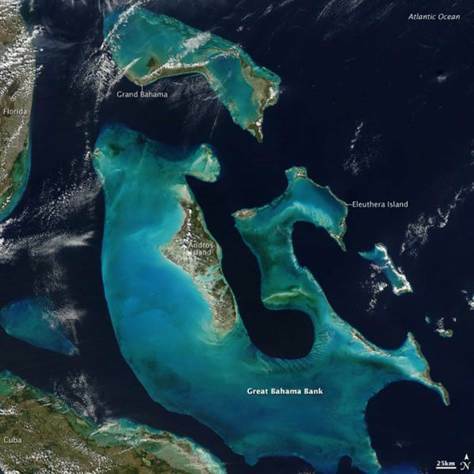 Scientists focused on the small island of Mayaguana in the southeast Bahamas, which measures about 33 by 7 miles. They noticed shallow banks of rocks called marine carbonates above ground that are usually present dozens of feet below the surface on the other Bahamian islands. These deposits are about 39 feet thick, span more than 17 million years of geologic history and are only found on the isle's northern coast. The unusual placement on these rocks gave researchers insights into the tectonic processes going on below the Caribbean. "It took us about three years to process all the data and come up with a coherent story," said researcher Pascal Kindler, a geologist at the University of Geneva in Switzerland. These findings suggest Mayaguana rose and tilted toward the south about 500,000 years ago. Such activity is likely related to faults in the Earth's crust near the island. In fact, its perfectly linear northern coastline might actually correspond to one such crack. "Finding geological evidence of recent tectonic activity in a region that was up to now considered as stable is probably the most exciting, surprising aspect of our results," Kindler told OurAmazingPlanet. 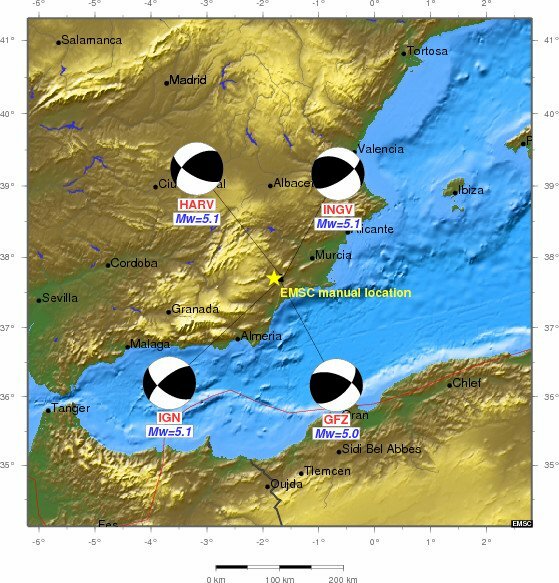 Activity along faults generates earthquakes. However, the Mayaguana faults are not as active as those near Haiti, and the probability of a major quake and tsunami in this area fortunately remains low. Further study of these rocks on Mayaguana could provide a wealth of data on everything from climate change to geological activity along the margins of continental plates. In addition, "we are planning to investigate other geologically unexplored islands in the southeast Bahamas — Little and Great Inagua, Crooked and Acklins Islands — that might show features similar to those found on Mayaguana," Kindler said. The scientists detailed their findings online May 4 in the journal Geology. Carol wrote: June 6, 2011 – CHRISTCHURCH, Nz – A 5.0 (5.5) earthquake has struck outside the city of Christchurch on the south island of New Zealand once again. The quake was incredibly shallow; registering at 3.8 km on maps according to the USGS. 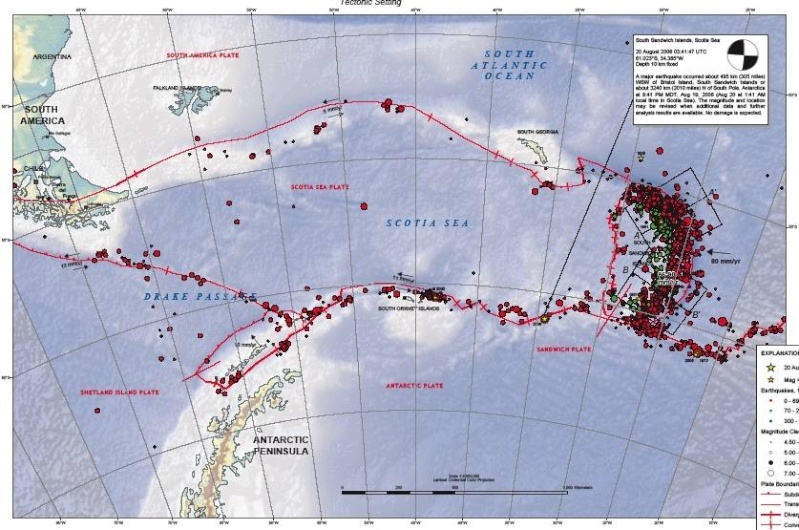 June 5, 2011 – ANTARCTICA – A 6.3 magnitude earthquake has been recorded near MacQuarie Island just north of Antarctica. 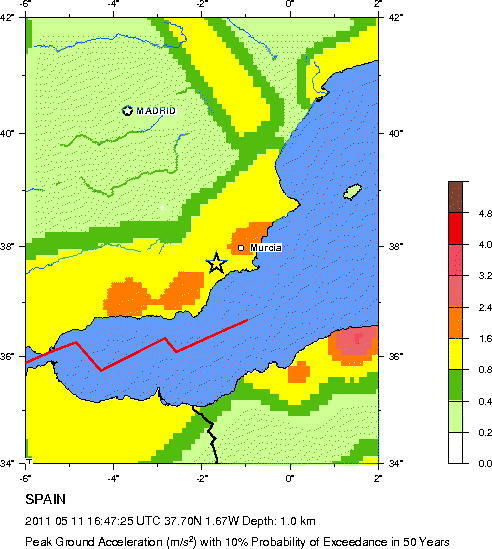 The quake represents some of the seismic dynamism we noted earlier in the Southern hemisphere. A 5.4 earthquake was also recorded in Maule, Chile. The Fiji region was also shaken by a 5.8 and a 5.1 earthquake. Eruption or lithospheric fracturing: have earthchanges taken dangerous new turn? Commentary: The lithosphere vents heat to keep the planet’s crust from basically fracturing and splitting apart. In 2010, we saw the most volcanic eruptions in recorded history and still the thermal depressurization threshold of the planet’s land surface was not reached, as new volcanoes are now erupting in 2011 that did not erupt in 2010. This is telling us a most important piece of information- there are not enough terrestrial volcanoes on land to equilibrate the geological pressures now unsettling the ground. Since the volcanoes under the ocean are pressurized by ocean depths- in my opinion, this increases the likelihood more and more with each eruption, that two things will now begin happening- lithospheric fracture-venting on land, similar to what’s occurring under the ocean with hydrothermal vents or much larger-scale eruptions becomes necessary to stop this runaway process. We may be years away from seeing one or more super-volcanic eruptions take place if this is a linear entropic process as I hypothesize it is. 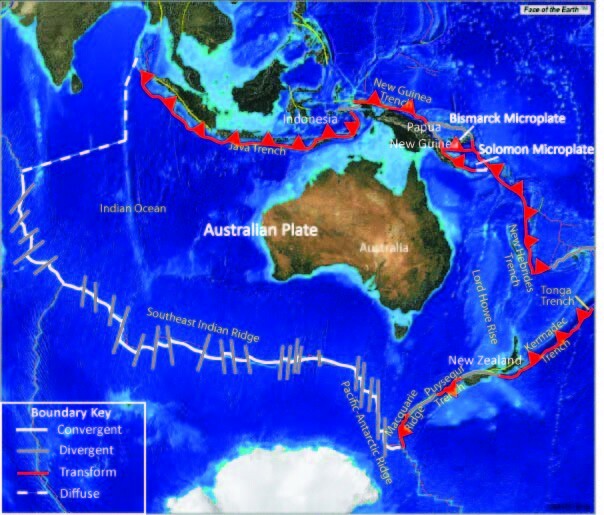 The Australian plate is a product of the seafloor spreading-induced fragmentation of the ancient supercontinent Gondwana. 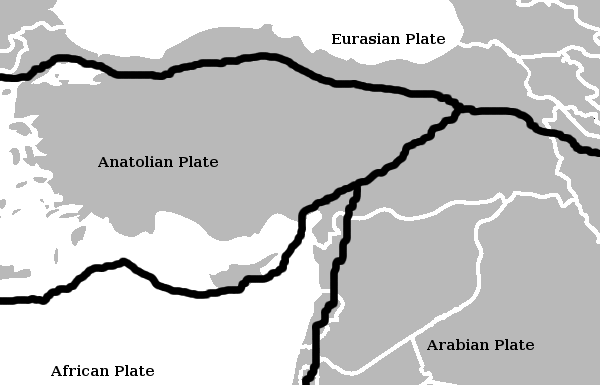 The Australian plate used to be a part of the larger Indo-Australian plate. This plate contains the continents of Australia, New Zealand, Indonesia, and Papua New Guinea. 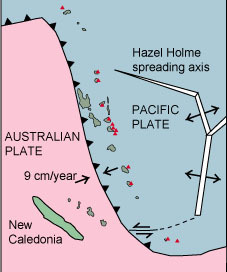 The southeastern border of the Australian plate is a convergent boundary with the Pacific plate, although complexities occur near New Zealand. The Pacific plate subducts under the Australian plate to form the Tonga and Kermadec Trenches, and the parallel Tonga and Kermadec island arcs, north of New Zealand. New Zealand straddles this edge, and south of the North Island the tectonic boundary is a transform fault. In the central South Island plate motion is manifested as a predominantly strike-slip movement along the Alpine Fault. In the southwestern part of the South Island, relative plate motion is accommodated by oblique subduction of the Australian plate, and consequent deformation of the overriding Pacific plate inland of the trench, which has produced the Southern Alps of New Zealand. From Post 9: The Tonga Trench is just north of the Kermadec Trench. 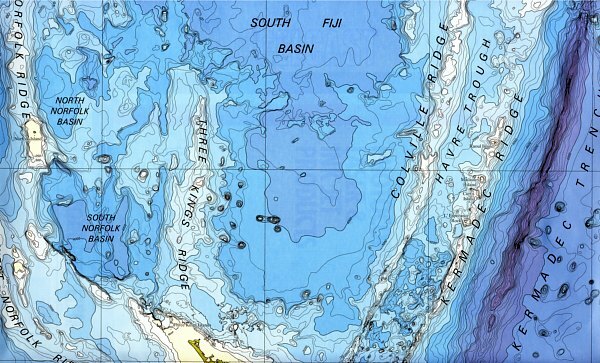 The detailed map of the sea bottom, shown below (Map courtesy NIWA) reveals that the sea bottom has major features such as the 8km deep Kermadec Trench on right, and next to it the Kermadec Ridge, which provides the volcanic activity to bring the Kermadec Islands to the surface. further back the Colville Ridge, which is of older date. In the middle the South Fiji Basin, a large area of deep ocean floor of 3-4km deep. To the left the Three Kings Ridge, also formed much earlier than the others, and finally the Norfolk Ridge with the submarine volcano of Norfolk Island, which has a very large plateau on it. At the very bottom of the chart, the northern tip of the North Island can be seen.